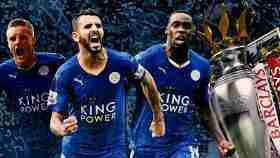 Home Sports See How much Leicester city earned for their League Tittle. See How much Leicester city earned for their League Tittle. league are said to be entitled to over 220million US Dollars. This was reported by Repucom Sports Data firm. The cash grant is said to come from the Premier League’s huge television revenues, playing in the Champions League, new sponsorship and higher gate receipts owing to their success.